The mural donated to Southwell PS. MURALS completed by hundreds of hands have been donated to four Cockburn primary schools. The community street activation project saw artist Mel McVee design the ocean-themed murals, which were then completed by scores of everyday people who attended Coogee Live earlier this month. 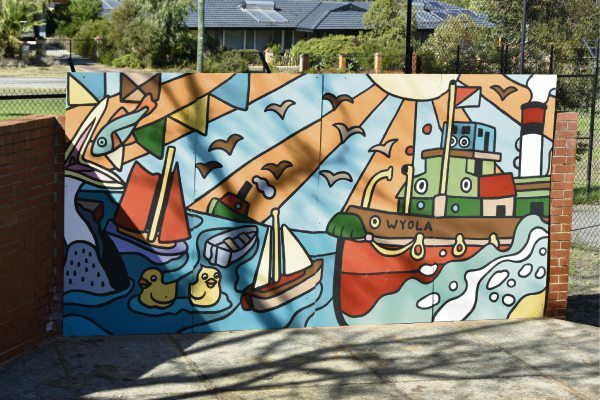 The artworks, each made of four marine grade ply mural boards, were then donated to Coogee, South Coogee, Southwell and Spearwood primary schools. Two more murals have been saved for installation at a new park. Cockburn mayor Logan Howlett, local artist Mel McVee, Southwell PS principal Elizabeth Melville and Fremantle Ports’ Richard Collett with Southwell PS students. 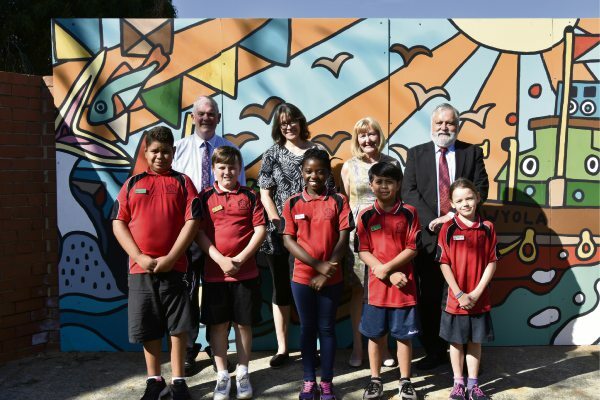 Southwell PS principal Elizabeth Melville said the donated mural was a welcome addition to their school grounds. 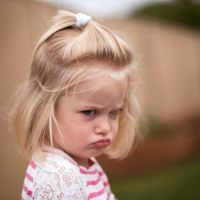 “The mural art donated to Southwell helps students explore and interpret local stories and, in turn, share discoveries and learn more about how other people see the Cockburn area,” she said. “The donated mural art links Southwell students to the solid foundation of learnt expertise and shared investigation about Cockburn. 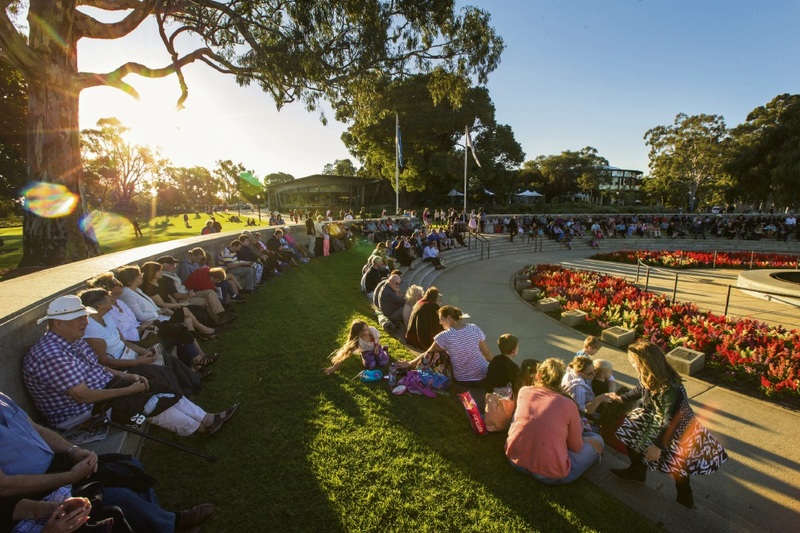 The City of Cockburn and Fremantle Ports sponsored the project.